Club Gascon's wine bar Cellar Gascon has been renamed Le Bar. Choose from a menu of French-inspired small plates that might include barbecued pork ribs, foie gras Gascon, escargots and duck doughnuts with spicy sauce. The value lunch remains. 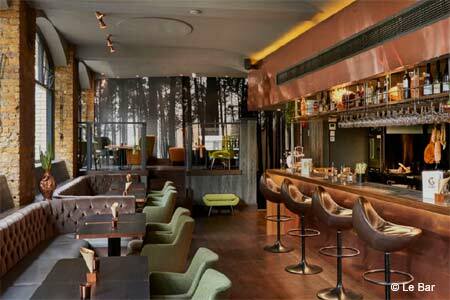 Le Bar, 59 West Smithfield, London EC1A 9DS, 020-7600 7561. Chef Anne-Sophie Pic has brought her Parisian eatery, La Dame de Pic, to London at the Four Seasons Hotel London at Ten Trinity Square. La Dame de Pic, 10 Trinity Sq., London EC3N 4AJ, 020-3297 3799 . 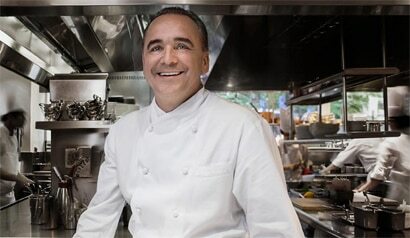 Chef Jean-Georges Vongerichten, GAYOT's 2016 Best Restaurateur, has opened Jean-Georges at The Connaught. The chic-yet-informal restaurant serves breakfast, lunch, afternoon tea and dinner. This opening comes hot on the heels of introducing his restaurant at The Waldorf Astoria Hotel in Beverly Hills. Jean-Georges at The Connaught, The Connaught, Carlos Pl., London W1K 2AL, 020-7107 8861. Club Gascon is temporarily closed for refurbishment through October 17, 2017. 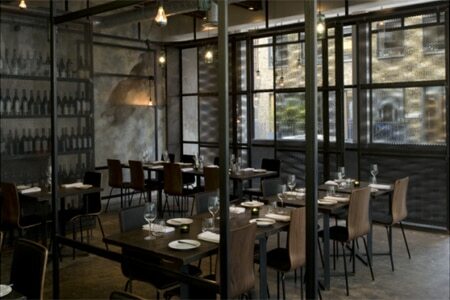 Club Gascon, 57 West Smithfield, London EC1A 9DS, 020-7796 0600. After more than 20 years of service, Soho's Cafe Boheme is undergoing renovations. It is expected to re-open in Spring 2018. Cafe Boheme, 13-17 Old Compton St., London W1D 5JQ, 020-7734 0623. The Cadogan Arms gastropub in Chelsea is closed for refurbishment. The Cadogan Arms, 298 King's Rd., London SW3 5UG, 020-7352 6500. Dabbous, the hot London restaurant from Oliver Dabbous, has shuttered. Dabbous, 39 Whitfield St., London W1T 2SF, no phone.